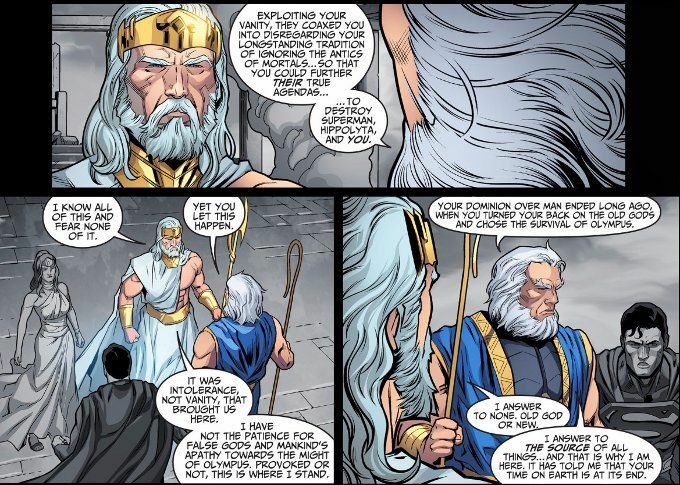 As Zeus stands poised to destroy Superman once and for all, Highfather of The New Gods intervenes.Will the clash between Man and Superman end in a battle between Old Gods and New Gods? Or will peace of a kind be preserved... for now? This final chapter of Year Four of Injustice proves a satisfying conclusion. 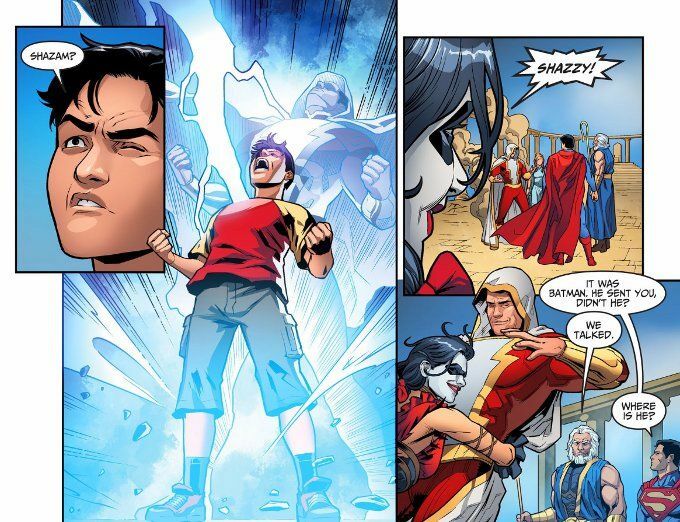 Brian Buccellato ties up all of the loose ends, including the depowering of Billy Batson and Harley Qunn's crush on his alter ego. Yet he also introduces some new complications for the upcoming Year Five series. Of all the fine artists to work on this book, I think Bruno Redondo is my favorite.There is a unique clarity to his work, even among the fine details that lesser artists might lose in the background. I particularly like the soft smirk on Shazam's face as Harley Quinn tackle hugs him. His art is well enhanced by Juan Albarran's inks and Rex Lokus's colors.